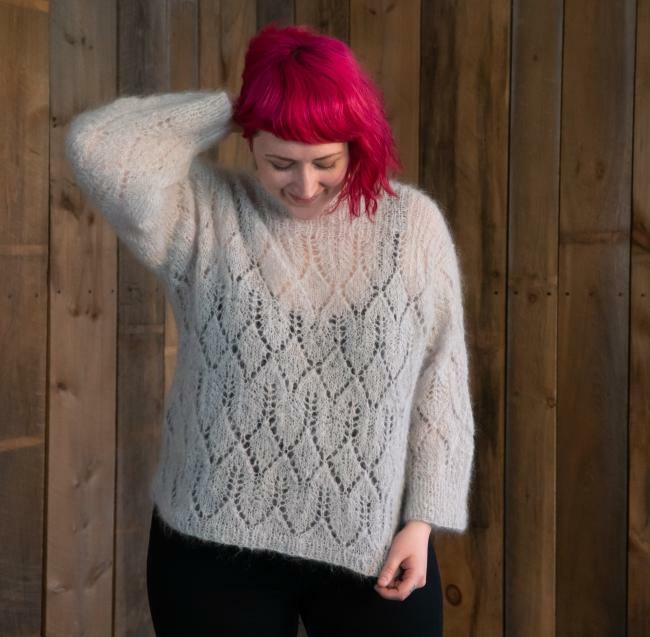 The new Atmosphere Lace Mohair Pullover Sweater Pattern is as fun to knit as it is to wear, with an easy to follow lace pattern and super simple shaping. This sweater is warm as can be and incredibly lightweight, knit up in delightfully fuzzy and oh-so-soft Jo Sharp Rare Comfort Kid Mohair Yarn. Rare Comfort Kid Mohair is on sale now! 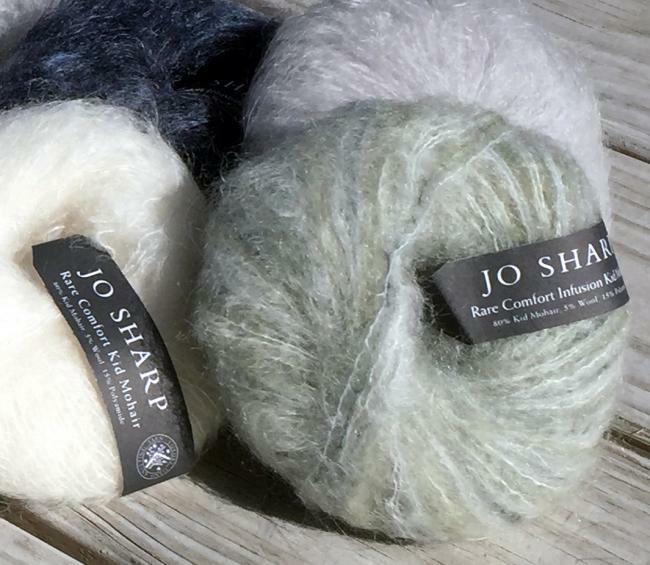 Mohair is a great yarn for transitioning between seasons. Light, lofty and fun, we love the versatility of this yarn. Blue Sky kits are perfect for a splash of quick color! 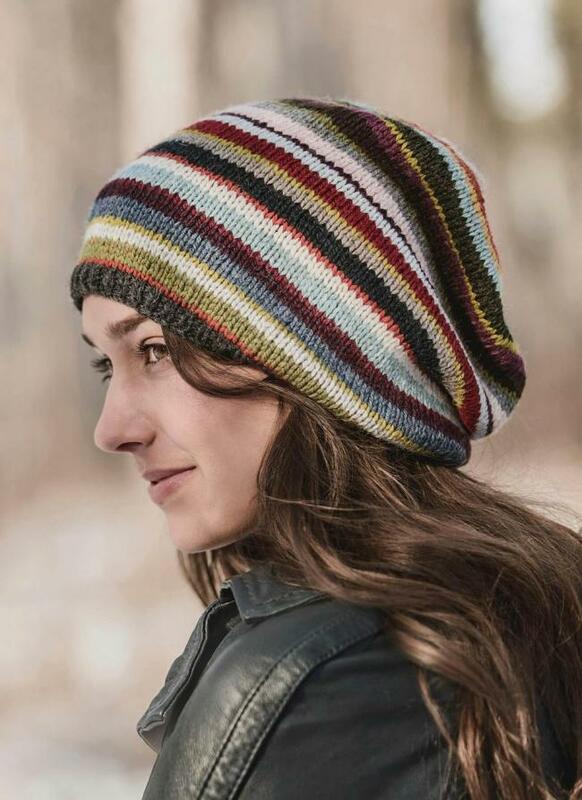 Mini-skeins of Woolstok yarn make it easy and affordable to knit cute multi-color accessories. Ready to try new tapestry techniques? 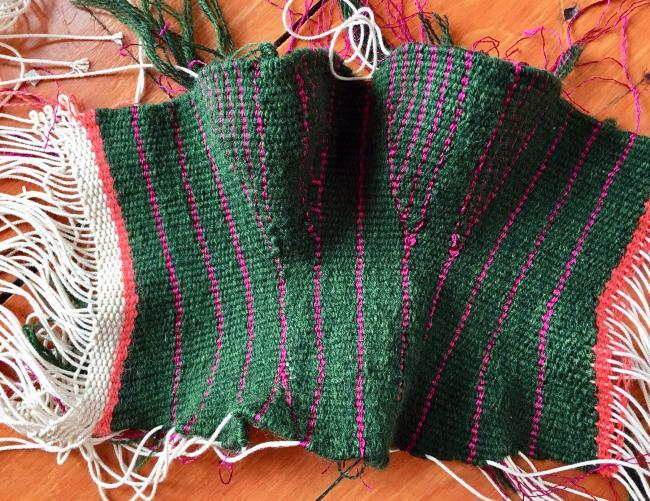 Barbara Burns is a masterful teacher and and we invite you to join her in a new workshop at Halcyon Yarn! There’s still a few spaces left in our other spring weaving classes too – please register soon though as they’re filling up fast! Juniper Moon Farm’s Organic Patagonia Merino is a story that’s almost too good to be true: 100% GOTS certified organic, sustainable, non-mulesed, pesticide-free merino wool, all wrapped up in a great big 382 yard/100 gram hank of woolen spun DK weight goodness. All those credentials at an affordable price? Go ahead and give yourself a pinch – you’re not dreaming this up! Beautiful Blue Sky Yarns – New! 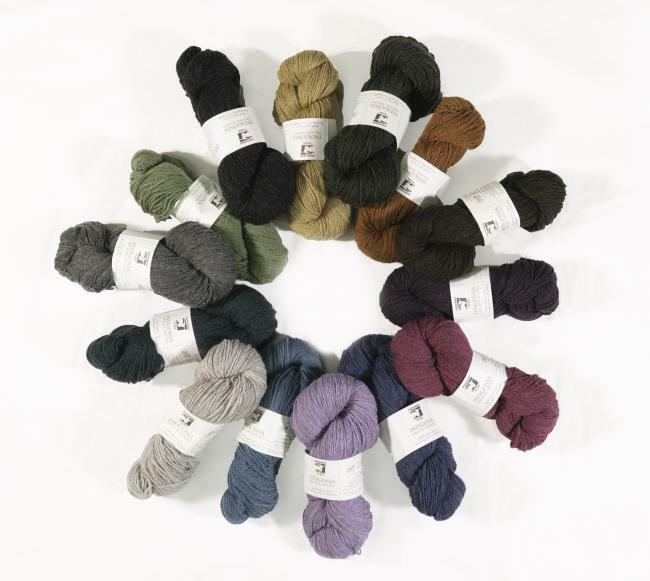 New to the shelf for winter are more winter-wonder-yarns in gorgeous luxury fibers by Blue Sky Fibers. Metalico brings a little natural shimmer for elegant winter accessories. Woolstock Jumbo is a giant delight, and Eco-Cashmere is perfect for modern pieces that are meant to last. We’re delighted to share very special display of antique Latvian mittens. Forty-five pairs of hand knitted mittens featuring traditional Latvian designs, with samples representing all five historical regions are here at Halcyon Yarn for a limited time this winter. 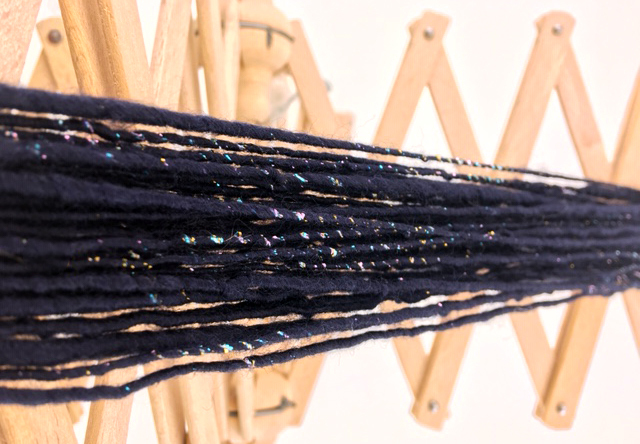 Put a little sparkle in your next homespun project with the Starlight Shawlette Spin and Knit Kit - Midnight. This kit comes with a quarter pound of Merino Top Wool Fiber and 250 yards of Astra-Glow Metallic Yarn for your spinning pleasure. Also included are helpful instructions on how to spin your own semi-corespun yarn using Astra-Glow as the twinkling central core, and an easy knitted triangular shawl pattern that will work for ANY yarn you come up with.